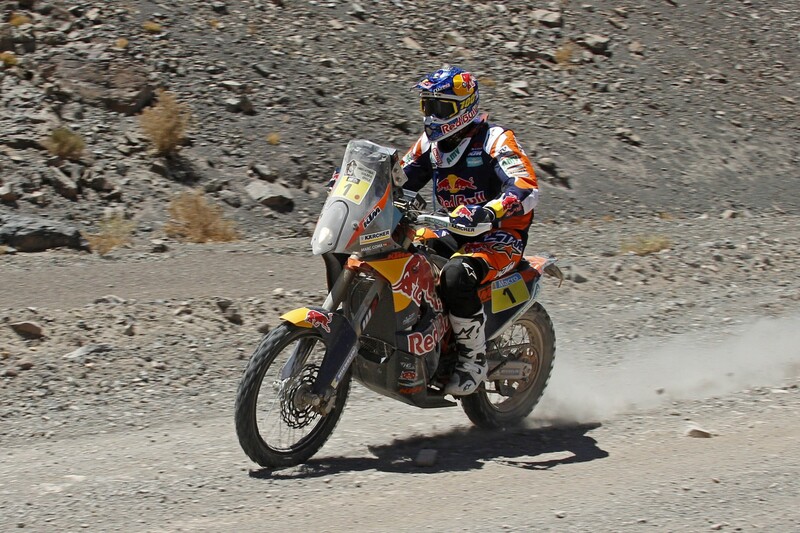 Red Bull KTM’s Marc Coma advanced from fourth to second in the overall rankings after riders completed Stage Four of the Dakar 2015 on Wednesday when the rally entered Chile. 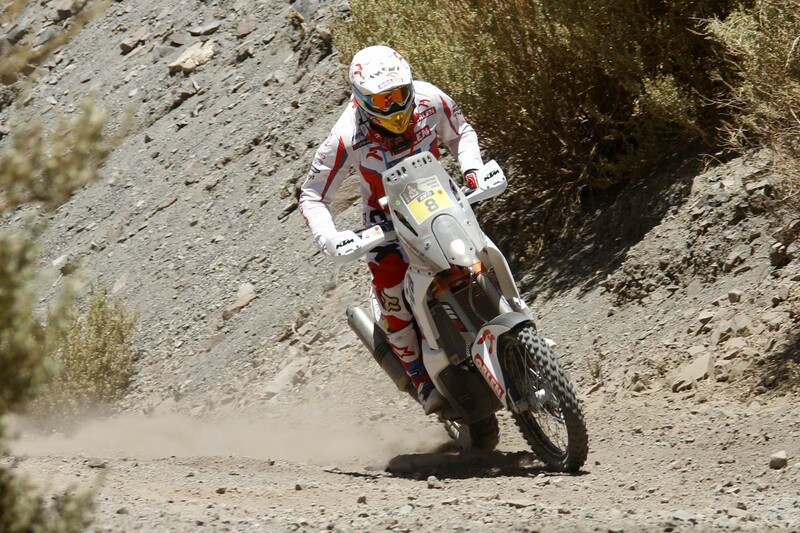 Coma was second in the stage, finishing just 1.59 behind Joan Barreda of Spain who continues to lead overall. 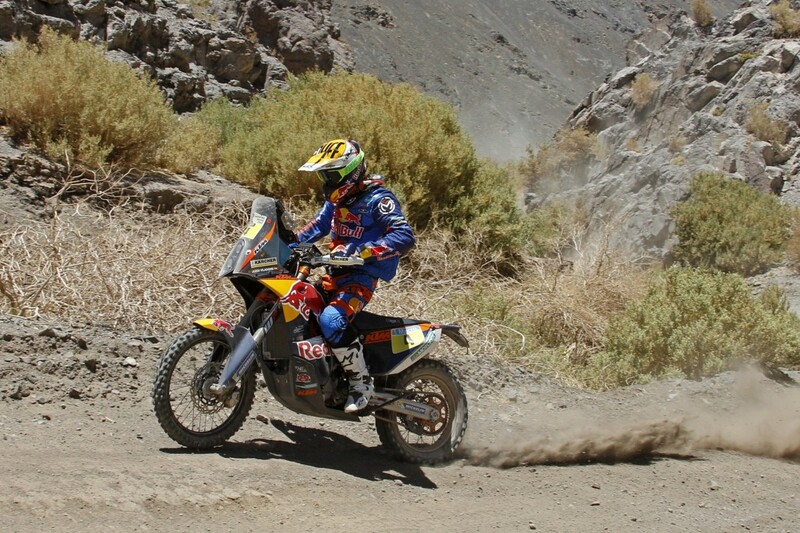 Coma a Red Bull athlete, rode the 318km special in three hours, 29 minutes and 27 seconds. 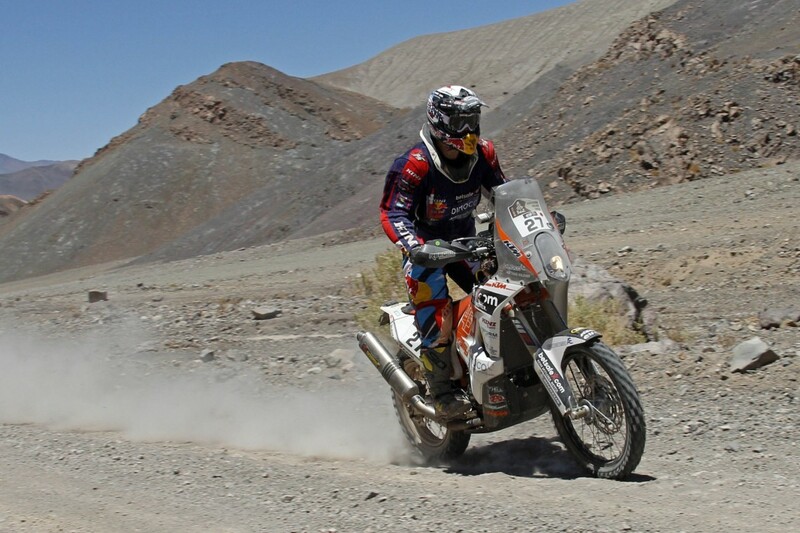 Riders had a long 594 km liaison at the start of the day that took them up to an altitude of 4800m before making the descent on the western side of the Andes into the Atacama Desert. 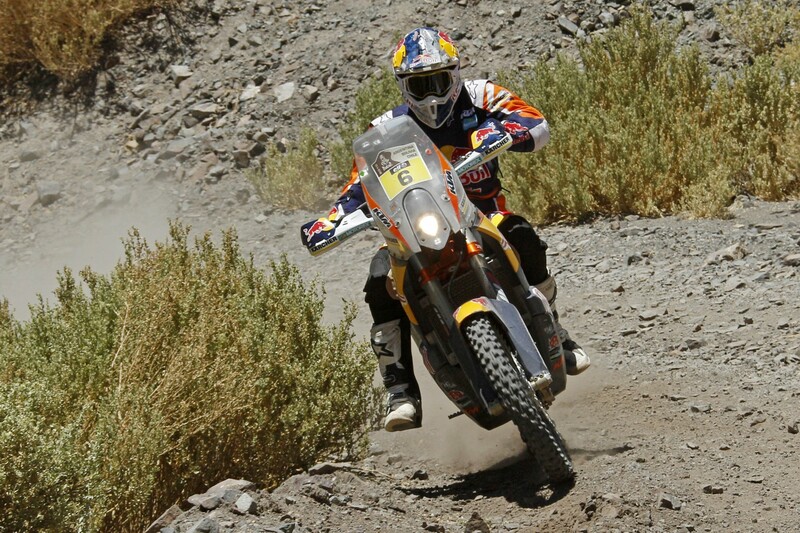 The stage started with a hard, rocky surface and fesh-fesh (fine dust) and ended in the deep sand of the Copiapó dunes. 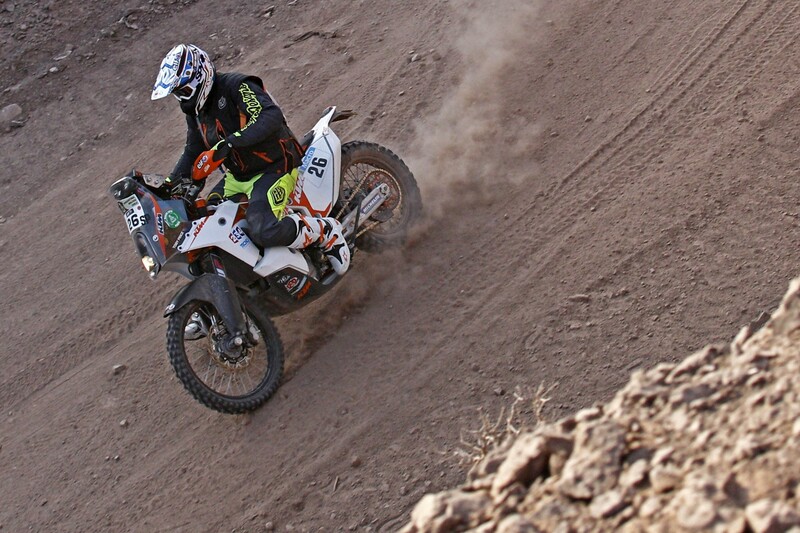 Coma’s deficit basically represents the time he lost in Stage Two when he had to slow right down because of tire damage, but the four-time Dakar winner is still feeling satisfied with his progress. 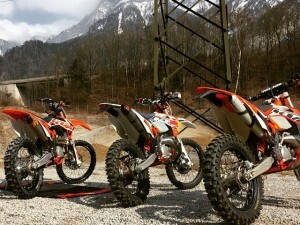 The two KTM newcomers, Stage Three winner Matthias Walkner of Austria and KTM Australia’s Toby Price sacrificed some time with navigational difficulties but also gained a lot of valuable experience as both are on a sharp learning curve. Sadly it was the final day for KTM Factory rider Sam Sunderland who had such a great start with a stage win on the opening day. 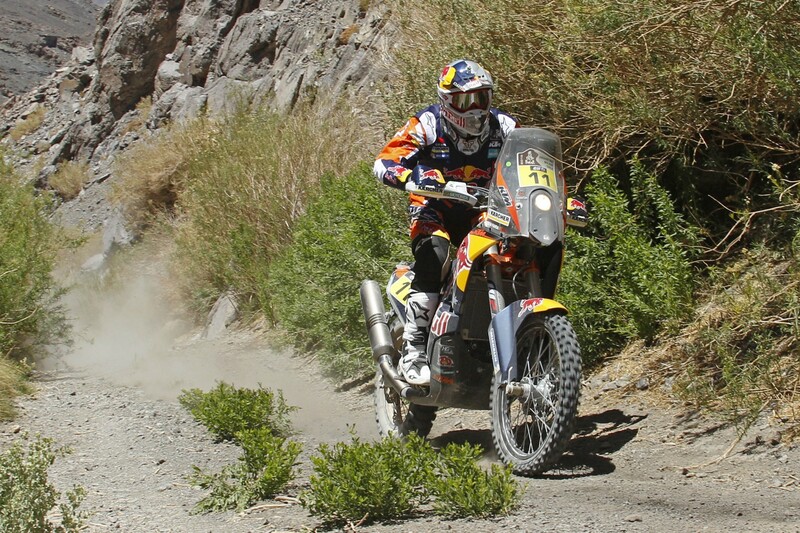 Sam crashed at the 59 km point in Stage Four and fell hard on his shoulder. He was dizzy and was unable to continue. 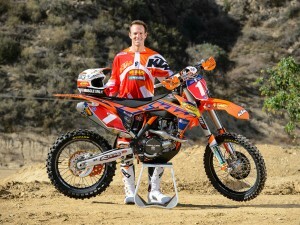 X-Rays have subsequently indicated some slight ligament damage but nothing is broken and no serious injury. After four stages the bigger picture as reflected in the overall standings sees Barreda and Coma well out in front of the rest of the field. Portugal’s Paolo Goncalves is in third around 15 minutes behind, followed by five KTM riders – Faria, Viladoms, Quintanilla, price and Walkner. With many miles left still to rider, the competition remains wide open. Thursday’s Stage Five takes riders from Copiapó to Antofagasta for another 697 kilometers, 458 of them timed, through the Atacama Desert. The fesh-fesh will be one of their main opponents.